My Cluttered Corner: Therm O Web Gina K Blog Hop + Giveaway! 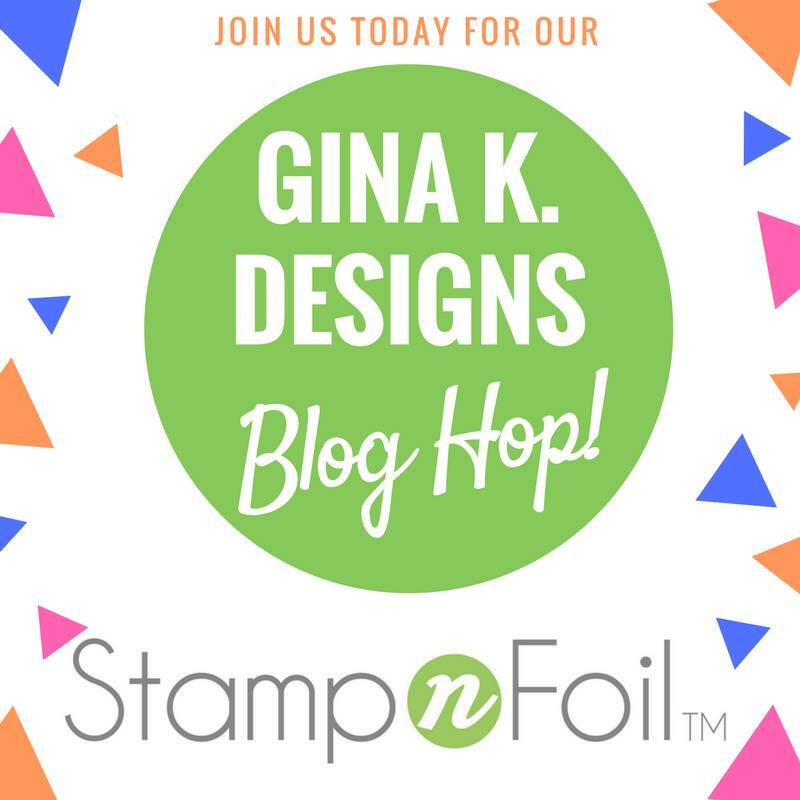 Therm O Web Gina K Blog Hop + Giveaway! It is finally here! The BIG, AMAZING, FANTASTIC release from Therm O Web and Gina K Desings known as Stamp N Foil! I can't tell you how much I love this line! It gives you the ability to add stamping, foiling and die cutting to the most beautiful images! The sets in this collection are called Butterfly Kisses, Where Flowers Bloom and Time to Celebrate. 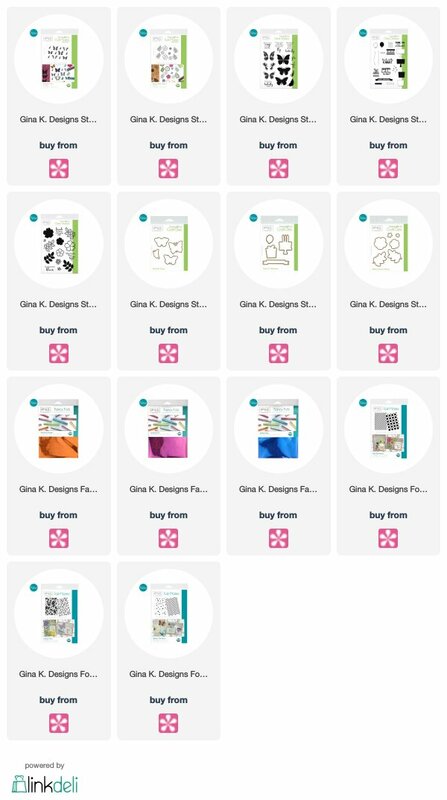 If you want to win an entire set of Butterfly Kisses Stamps, Detail Sheets and Dies and all three of the new Fancy Foil colors, then simply leave a comment here and on all the blogs in the hop. There's only a few so it shouldnt take you long to make your way through them all! Therm O Web will also be doing a giveaway on their blog HERE. And one on the Therm O Web Facebook page too! And Gina K will be doing her own awesome giveaway too, so be sure to stop by her blog HERE. So MANY ways to win!! Next up on the hop is Shemaine Smith! Her creations are always gorgeous and she will have amazing inspiration for you so hop on over to her blog HERE. Rebecca Keppel -----> You are HERE! Wonderful card! I love the striped strips you used! Beautiful inside of the flower you used! I haven't seen that one. All these sparkly foils are just gorgeous and making me want to have ALL THE COLORS! Great card. The stripes really create a nice contrast. I love all the different foiled elements. The purple circles are a great background for the flowers and butterfly! The card is beautiful and I really like the stripes. Pretty and colorful card design. Very pretty. Love the simple elegance. Such a bright and pretty card! Thanks for the video, love the multicolor stamping! 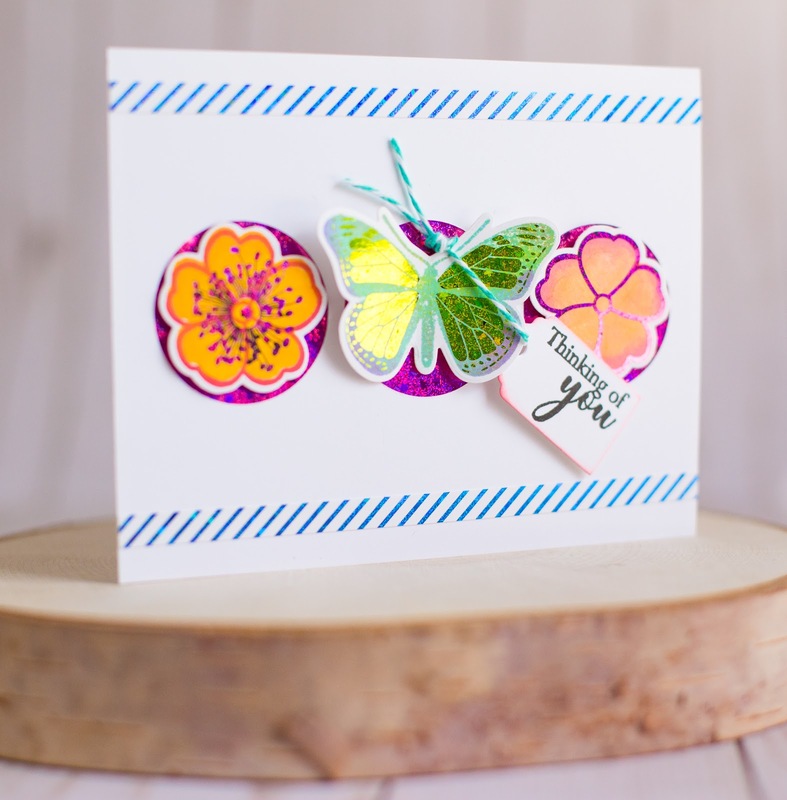 Pretty flowers and butterfly on your gorgeous card! Love the sparkle! So many pretty colors of foil to choose from! Very pretty! I love those stripes too. SQUEAL!! I LOVE LOVE LOVE this Card!! Such a BEAUTIFUL Design!! THANKS for sharing and have a FABULOUS WEEKEND!! Your use of the rich colors are so perfect for spring and the abundance it brings! Love this collection!! Love all the color and shine! What a way to bling up a card with these gorgeous foils and die cuts! That’s such a lovely card ! Oh my!!! Love your stunning card!!! Butterfly is really amazing!!! The deco foil adds just the right amount of sparkle! Hope to receive some immediate help from you guys regarding a webpage development. Need it on urgent basis within a week. MovieBox on iOS Device The MovieBox app is now available on iOS 10 without a jailbreak via Cydia Impactor. Here's how to download it and install it on your device.